Garlic mashed cauliflower is a favorite in our house! 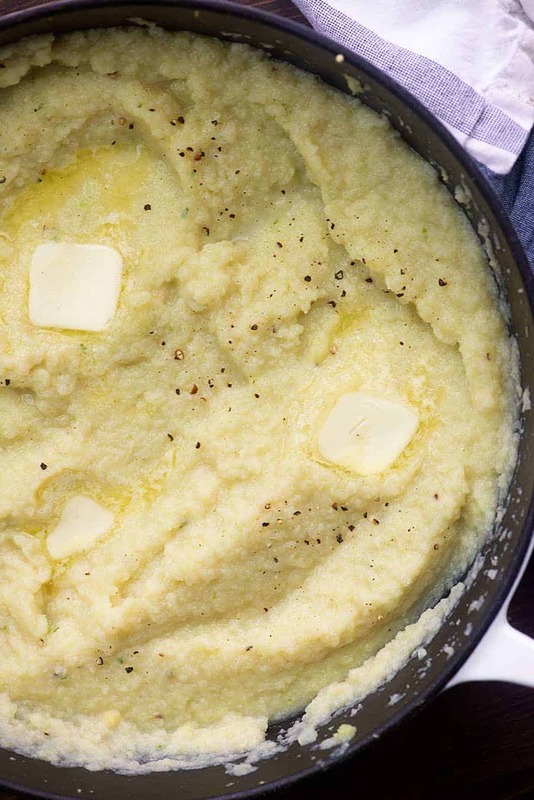 It’s simple to make and I think that my method is the absolute best for creating creamy, flavorful cauliflower mashed ‘potatoes.’ Low carb, healthy, and a hit with my kids too! I’m not going to lie. I have resorted to the box of frozen cauliflower mash on many nights. It’s quick, it’s convenient, and it generally tastes pretty okay. I usually doctor it up with some grated cheddar to thicken it a bit and add more flavor, but overall, it’s something we like and I always have a box on hand for busy days. That said, this mashed cauliflower recipe makes what we think is the BEST mashed cauliflower. Flavorful, creamy, and it’s honestly quite simple to make! It really satisfies that mashed potato craving, too. It can be as simple as steaming cauliflower and mashing it up, but if you really want the BEST mashed cauliflower, you need to take a few extra steps. I start with riced cauliflower, because it tends to cook a bit more evenly and because it’s easier to mash. It’s also easy for me to find pre-riced cauliflower in the produce section these days. Love not having to chop up a bunch of produce! You’ll heat a little oil in a skillet and then stir in some garlic. Add your riced cauliflower and chicken broth. Bring that to a boil and then cover the pot. Let this cook for about 10 minutes. We want the cauliflower to be nice and soft. 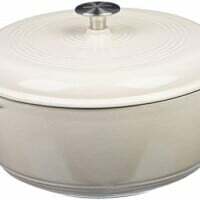 The next step is what I believe makes this cauliflower mash OH SO GOOD…you remove the lid from the pan and keep cooking. Let the liquid boil away. 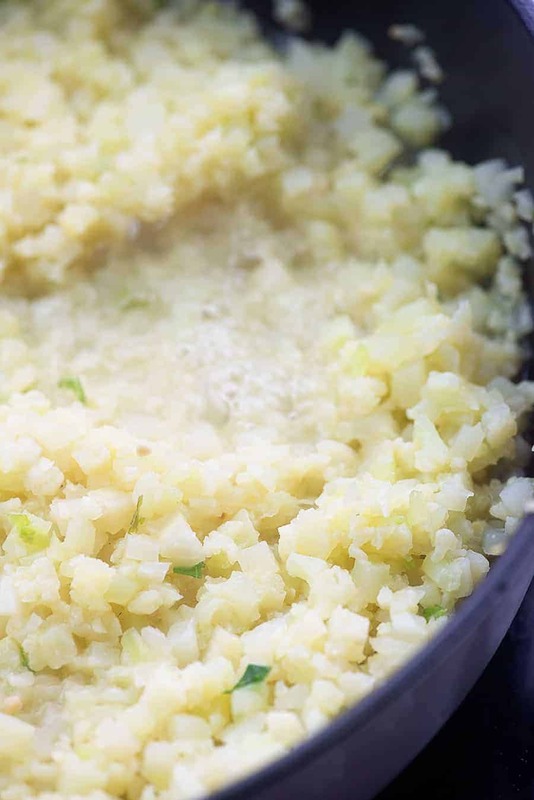 It adds flavor to the cauliflower as it reduces down and makes for a thicker mash. I start pureeing the cauliflower with an immersion blender when the liquid has mostly boiled away. I highly recommend an immersion blender. It makes life so easy and I use mine at least once a week. They really come in handy! 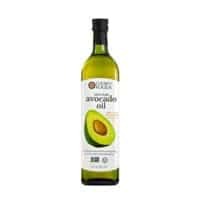 You can find the one I use right here (affiliate link). 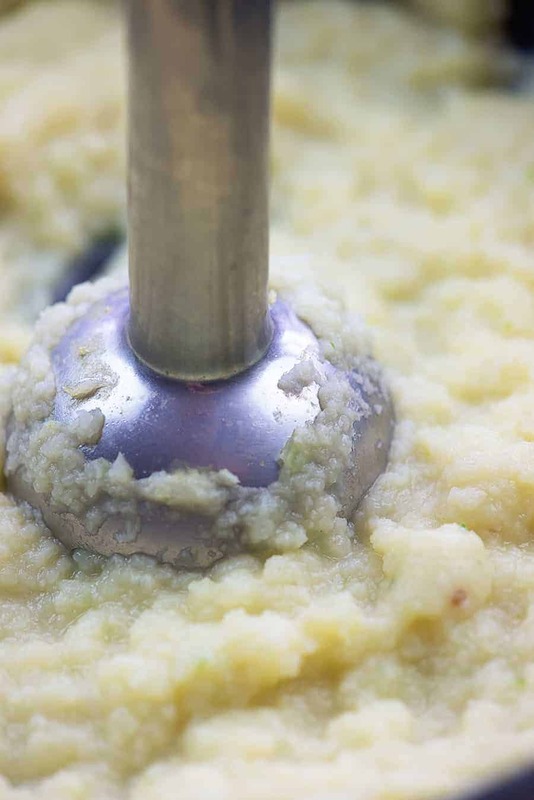 If you don’t have an immersion blender, transfer your cauliflower to a food processor to get the smoothest mash possible. Alternately, use a potato masher. 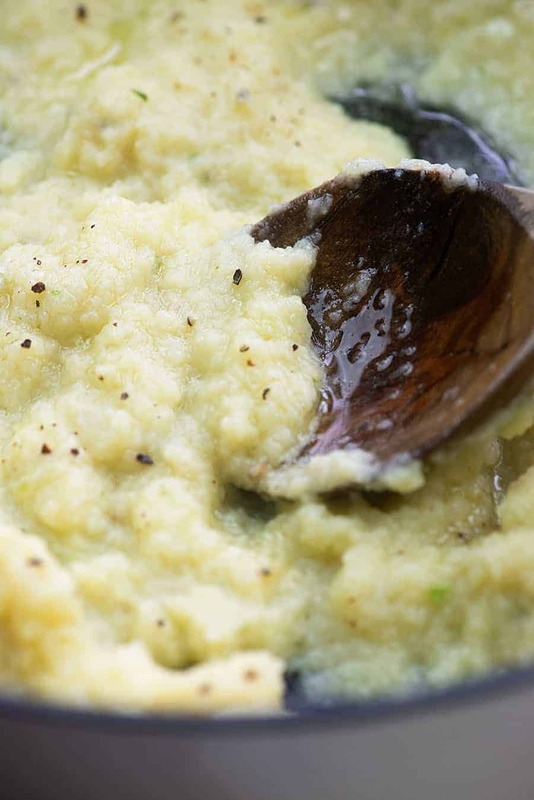 If you notice your cauliflower mash has too much liquid after pureeing, just keep cooking until it evaporates away. Be sure to stir occasionally so you don’t burn the bottom. These cauliflower mashed ‘potatoes’ are just about perfect on their own, but adding a bit of butter really takes them over the top! No heavy cream or milk needed! 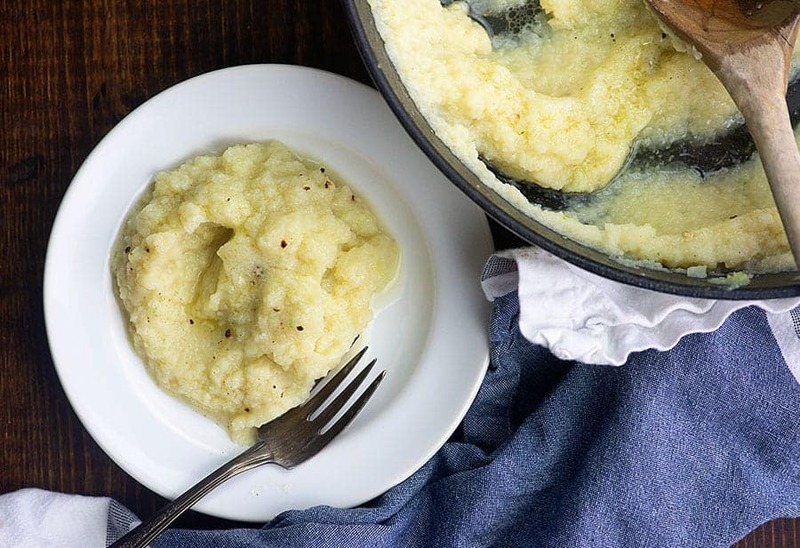 I hope you love this garlic mashed cauliflower as much as we do! It’s heavenly! Cauliflower Casserole: Packed with cheddar, bacon, and sour cream! Cauliflower Potato Salad: Perfect for summer dinners! Cauliflower Deep Dish Pizza: So cheesy and delicious! 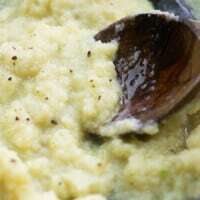 Cauliflower Risotto: Creamy and decadent! Cauliflower Rice: Seasoned with cilantro and lime for taco night! This is the BEST mashed cauliflower recipe! So creamy and delicious! Add the oil to a deep 12 inch skillet and heat over medium heat. Add the garlic and cook 1 minute. Add the cauliflower rice and stir to combine. Add the chicken broth and bring to a boil. Reduce to a simmer and cover the pot. Let cook for 10 minutes. Remove the lid and stir. Continue cooking until nearly all of the liquid has evaporated, about 10 more minutes, stirring as needed. Use an immersion blender to puree the cauliflower. 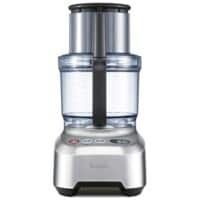 Alternately, transfer the mixture to a blender or use a potato masher. Using a potato masher will result in a less smooth texture. Add the butter, salt, and pepper and stir to melt the butter. Serve hot. If you notice too much liquid in the pan after pureeing the cauliflower, continue cooking to evaporate the liquid. Be sure to stir often so as not to burn the cauliflower. Also, keep in mind that cauliflower has more liquid than a potato and will always be looser than traditional mashed potatoes. Recipes look wonderful! Will try them soon! Next summer will use our own cauliflower from garden! Ok, I’m going to try it. I cooked mine totally wrong when I tried it without a recipe. I boiled it like potatoes. Crossing my fingers that I like this. Would be a huge help for me. I usually steam my cauliflower, pour the water off, then add the cauliflower back to hot pan. I use an immersion blender too, adding in minced garlic or garlic powder, salt, pepper, and sometimes I throw in some parm. cheese. Never thought about cooking the cauliflower in chicken broth-thanks for the recipe! That sounds like a great method too! I think cooking in the hot pan after boiling helps reduce the liquid so well. Apart from calories I can’t seem to see any other nutritional info. Do you have the details?